Nick Talks about the Multiplying Bottles. 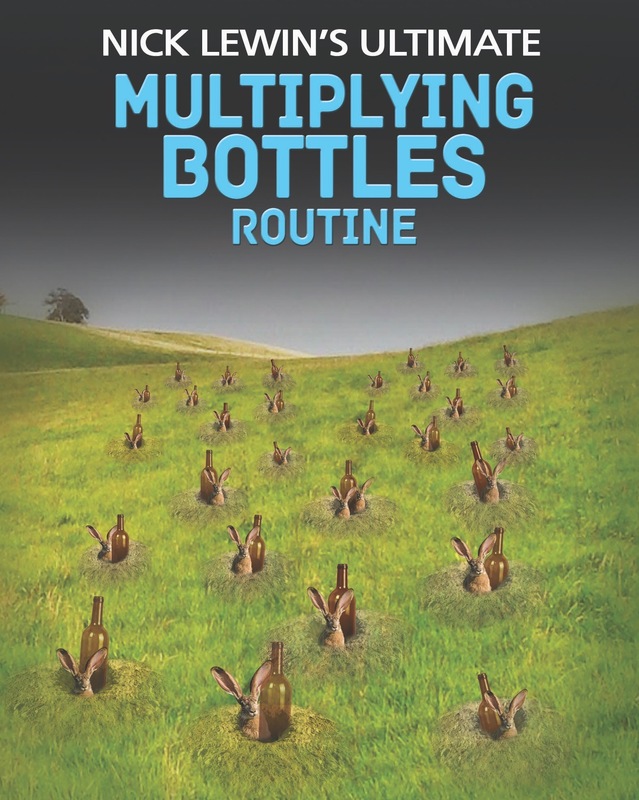 This Multiplying Bottles is one of the finest pieces of visual magic you will ever find, it makes a perfect mini-illusion for any comedy magic show. In honesty though it is not the most baffling piece of magic in the world. The way to make it really work is to present it fast and with a rapid-fire rhythm, don’t slow the trick down or you allow the audience too much time to think about it! This is an effect that gains momentum and builds to a really strong climax by the accumulative bottle productions. This is the reason that the routine is such an excellent closer to a magic act. Forget the individual bottle productions and concentrate on the overall impact of the routine in order to discover it’s full strength. I was lucky enough to be taught the routine by the Master himself Ken Brooke, over 50 years ago! I have added to it, streamlined it, added subtitles and nuances during the last half century. Wow am I really that old—-I guess so! Our latest DVD release teaches everything I have learned over the years and I hold nothing back. I not only cover the routine teaching you what to do but also what NOT to do. I teach the timing and rhythm that turns this effect into a showstopper. I also cover all the details that surround the trick — including what table to use, how to ‘tidy up’ safely after the effect,what bottles to use and the trick that I use to get into the trick in the most effective way. I have used this routine for a long time to close my show audit always does a great job and gets huge applause. In honesty I have to admit that for many years now I have used it as a second to closing trick and performed it as a false call that was followed by my Slow Motion Newspaper Tear. 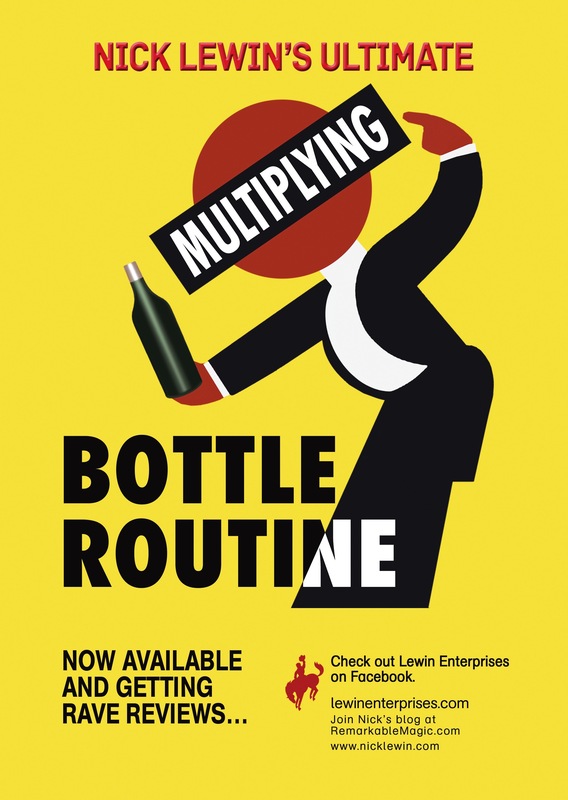 They are an amazing combination for me, however for most performers I would suggest that the size and action of the Multiplying Bottles make it an obvious closing effect. 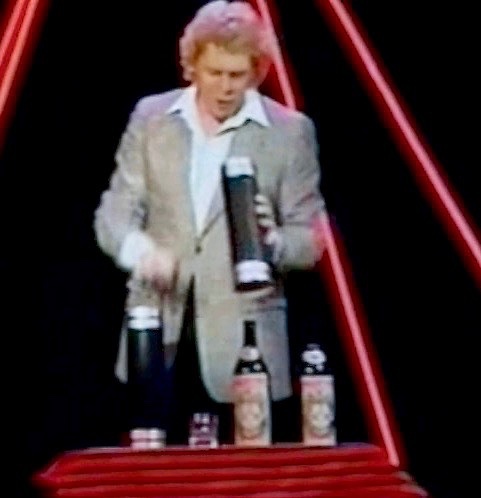 For five years I presented the Bottles in this manner in my one-man show Comedy Magic in Las Vegas— that was two shows a day, six days a week, 48 weeks a year! Believe me when I tell you that I can teach you the intricacies of this routine!